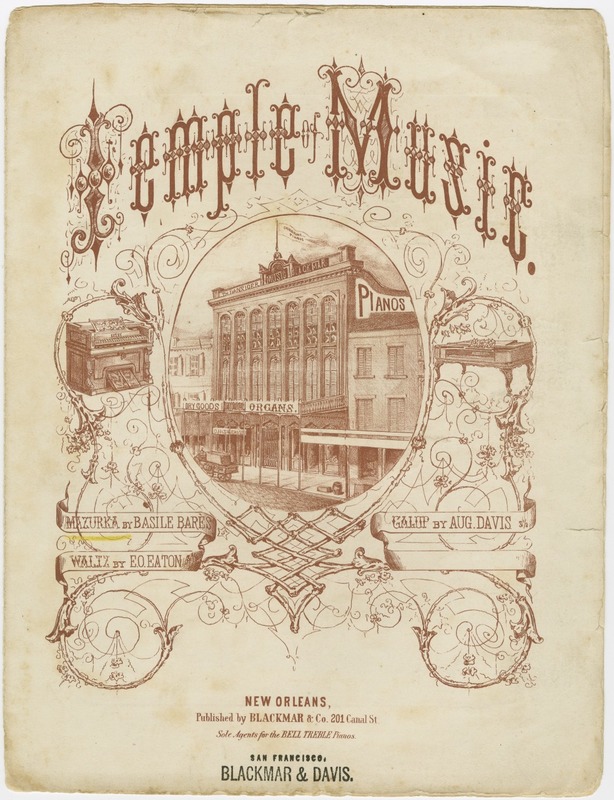 Music has always been popular in the Crescent City, and since the nineteenth century, there have been many stores that sold instruments and sheet music. Advertising the newest styles and latest technologies, retailers imported musical instruments from Paris, London, New York, and Boston. In the nineteenth century, pianos were a status symbol necessary for any middle-class or wealthy home, and merchants were happy to meet the high demand. Many New Orleans music dealers were agents for the major piano manufacturers, including Pleyel, Chickering, and Nunns & Clark. The largest music stores, such as Werlein’s and Grunewald’s, were also publishers of sheet music, selling popular patriotic songs, ballads, and hits of the latest dance crazes.